Gennady Golovkin will fight Steve Rolls on June 8 at Madison Square Garden in New York, it was officially announced on Tuesday night. 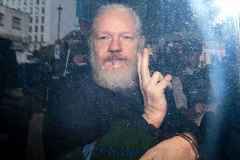 The former unified middleweight champion will be having his first..
Boxing is having a momentー and growing audiences and rising ratings mean the sport is making a serious comeback. 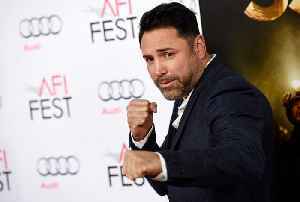 According to champion boxer-turned-promotor Oscar De La Hoya, the next moment worth..
John Ryder will fight David Lemieux for the WBA ‘interim’ super-middleweight title on the undercard of Canelo Alvarez vs Daniel Jacobs. 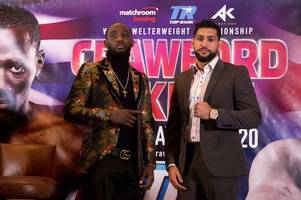 The bout will take place as part of a big show on May 4 at..
Amir Khan will face Terence Crawford for the WBO welterweight title on April 20. It’s a tough test for the 32-year-old, but Khan isn’t a fighter that has ever shied away from a challenge. The.. The beginning of 2019 has been a frustrating time for boxing fans, because most of the sport’s premier match-ups simply aren’t coming to fruition. Aside from in the middleweight division – where..
Amir Khan will challenge Terence Crawford for the WBO welterweight title on April 20 at Madison Square Garden. Khan is a former WBA and IBF light-welterweight champion and has never lost at..
It’s fair to say boxing has no dominant pound-for-pound king right now. 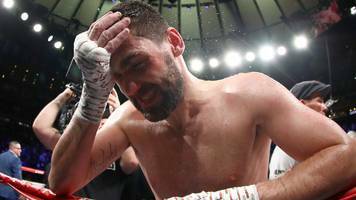 Unlike in some past eras – such as Floyd Mayweather’s in the not too distant past – there is now genuine debate about who..
John Ryder will fight David Lemieux on the undercard of Canelo Alvarez vs Daniel Jacobs, according to reports. 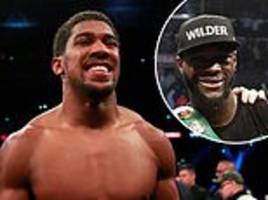 The British super-middleweight is currently the number one contender and mandatory..
Anthony Joshua and Tyson Fury have both made it onto ESPN’s list of the top 100 most famous athletes in the world for 2019. However, the order is somewhat surprising as they both sit ahead of Mexican..
Vasyl Lomachenko has named Terence Crawford as the boxer he considers to be today’s pound-for-pound number one. 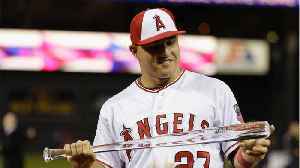 The 31-year-old gave props to his fellow three-weight world champion as he revealed his..
Eddie Hearn is attempting to recruit yet another top middleweight to join the Matchroom USA stable on American broadcaster DAZN. Jermall Charlo is the latest to enter the British promoter’s sights,..
Gennady Golovkin has signed a six-fight, multi-million dollar deal to play out the final stage of his career with fledgling US broadcaster DAZN. 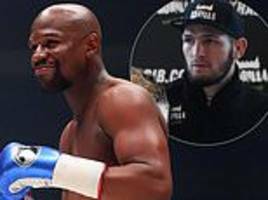 The power-punching Kazakh will return to the ring in..
Floyd Mayweather Jr is teasing a return to boxing – once again – with reports suggesting he could be about to face Manny Pacquiao for the second time in his career. Money moved to 50-0 with his..
Gennady Golovkin is reportedly on the verge of finalising a mega money deal to fight on DAZN in America. The Kazakh has not been seen in the ring since suffering his first defeat to Canelo Alvarez in..
Canelo Alvarez – the biggest name in world boxing – says he would love to fight in England. The Mexican pound-for-pound star has built his name in the USA and last year established his status as..
It’s fair to say that boxing has no dominant pound-for-pound king. 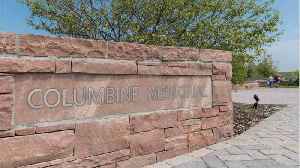 Unlike in some past eras – such as Floyd Mayweather’s in the not too distant past – there is now genuine debate regarding who..
Canelo Alvarez’s middleweight world title unification fight against Daniel Jacobs will take place at the T-Mobile Arena in Las Vegas on May 4. 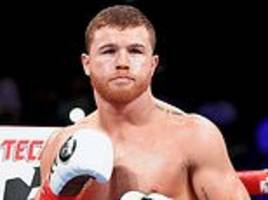 The Mexican superstar will stake his WBA and WBC belts..
Middleweight world champion Canelo Alvarez has released an impressive video on Instagram of him working the pads with coach Eddy Reynoso. Carl Froch believes any boxer caught taking performance-enhancing drugs should be banned for life. Former super-middlewight champion James DeGale exclusively told talkSPORT he believes drug taking in..
After a thrilling year for boxing, here’s hoping 2019 proves equally as entertaining. Here is the full list of major fights scheduled to take place this year… February 9, Vitality Health Center,..
Gennady Golovkin is reportedly meeting with Eddie Hearn on Wednesday to potentially finalise a lucrative deal that will see him return to the ring on US streaming platform DAZN. Following the first..
WBA and WBC middleweight champion Saul 'Canelo' Alvarez to face IBF holder Daniel Jacobs in a unification fight on 4 May. 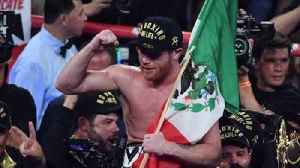 Mexico's Alvarez, with a 50-1-2 record, including 35 knockouts, became a three-division world champion by knocking out Rocky Fielding in three rounds to take the WBA super middleweight crown. Canelo Alvarez will face Daniel Jacobs in a middleweight unification fight on May 4. The three-belt bout is expected to take place at the T-Mobile Arena in Las Vegas, though the venue hasn’t been..
Billy Joe Saunders has been installed at #5 in the new WBC middleweight rankings for January 2019. 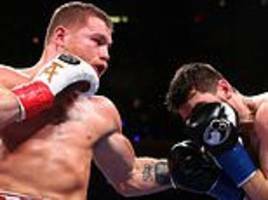 This means he is now technically eligible for a bout against current champion Saul ‘Canelo’..
Canelo Alvarez and Gennady Golovkin’s representatives have started talks for a trilogy fight on May 4 at the T-Mobile Arena in Las Vegas. 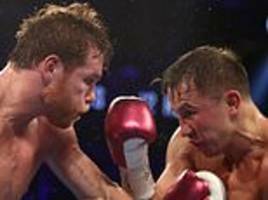 The Mexican’s next fight is already set down for the..
Saul 'Canelo' Alvarez and Gennady Golovkin are poised to step back into the ring for an eagerly awaited trilogy showdown, after it was revealed talks are ongoing. Britain’s Amir Khan is among a list of fighters who have been called out by returning former world champion Marcos Maidana. The 35-year-old ex-WBA welterweight king quit the sport following his two.. Despite the fact it was ultimately a positive year for the sport, 2018 still left a slightly bitter taste in the mouths of many boxing fans. Plenty of fantastic fights such as Canelo Alvarez vs Gennady..
Will Khabib Nurmagomedov, Conor McGregor or Canelo Alvarez be next for Floyd Mayweather? Since his professional debut in 1996, Floyd Mayweather has earned hundreds of millions of pounds. 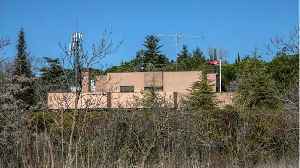 His net worth is estimated to be close to a staggering £440million. With the likes of Anthony Joshua, Callum Smith and Canelo Alvarez on the cusp of bigger and richer fights, here Sportsmail lists 10 bouts we want to see in 2019. The WBC are set to give Gennady Golovkin the chance to become mandatory challenger for a trilogy fight with Canelo Alvarez next week. 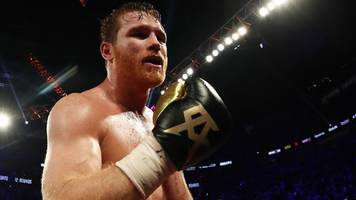 Mexico’s Alvarez is the current WBC middleweight champion –..
Saul ‘Canelo’ Alvarez is eyeing a Wembley showdown with Callum Smith in 2019. The Mexican superstar, the WBC and WBA middleweight world champion, stepped up to super-middleweight to face Rocky.. 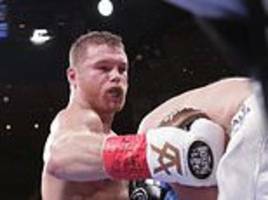 EXCLUSIVE BY JEFF POWELL: Canelo Alvarez is eyeing a mega-fight at Wembley Stadium to continue his development into the most marketable boxer in the world. 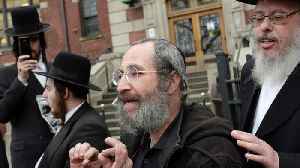 JEFF POWELL IN NEW YORK: Only in the movies does Rocky slay the beast. In real life the heroic no-hoper is devoured by the monster, thereby becoming further fodder for its creation. 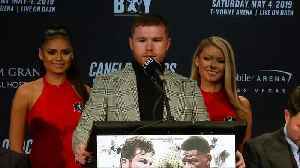 Saul 'Canelo' Alvarez revealed body shots were a key part of his game-plan as he delivered a third round knockout win over Rocky Fielding on Saturday night at Madison Square Garden. 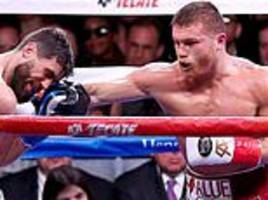 Rocky Fielding says Saul 'Canelo' Alvarez is the best fighter he has faced and vows to bounce back from defeat in New York.